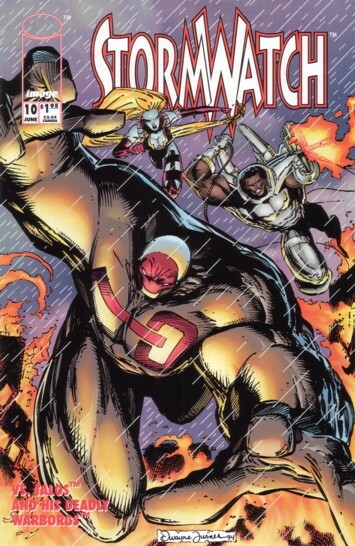 this entry covers “StormWatch” volume one, issue ten. Before we get started I’d like to bring all of your attention to three things WildStorm related. 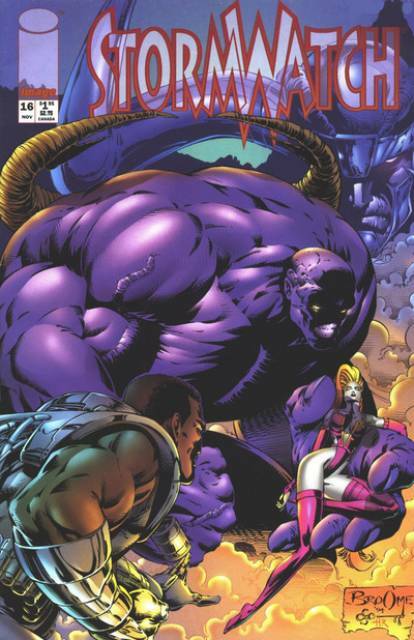 First, the KickStarter for a book all about WildStorm Studios called “Wild Times“. 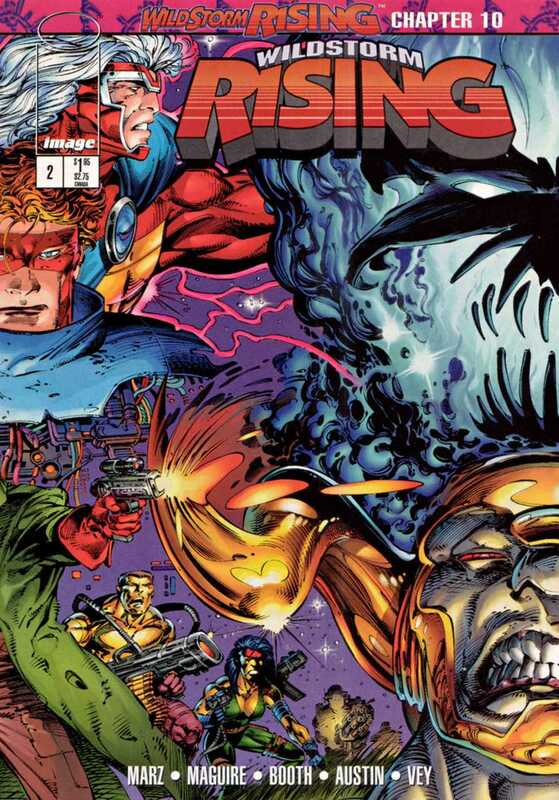 If you’re into WildStorm at all, back this! Second, we now have a “sister site”! Reader Martin has started his look at how the WildStorm characters were retrofitted into the DCU with New 52. It’s obviously named New 52’s WildStorm and well worth a look. 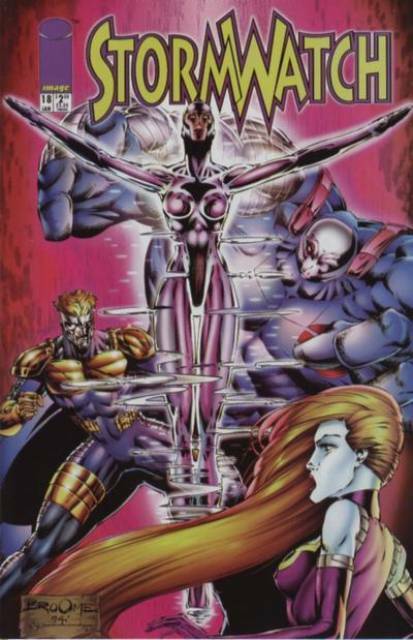 And lastly, the blog Crushing Krisis did a month long feature on early WildStorm books and while it covers the same issues I’m covering now, he takes a different angle. Also, take a quick look at that WildStorm Chronology: WildStorm Rising section, there’s been a wee bit of restructuring to match up with some hard dates in the texts of “Gen13” Vol. 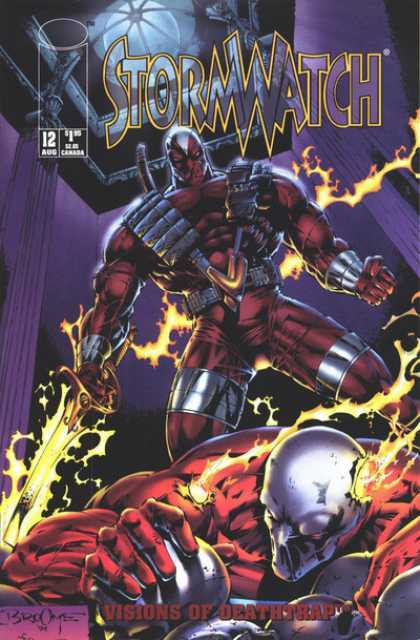 1, this issue of “StormWatch” and an issue of “WetWorks.” I assure you, it all still works! But it is one of the reasons I’m only covering this single issue rather than the five I had planned. Ok, so this issue is just a pretty simple one-shot type issue. It is mostly dealing with Jackson coming to terms with his future, or rather, lack there of. Jackson has to lead the StormWatch team on a mission to Japan to capture Talos before he can get his hands on some serious hardware. 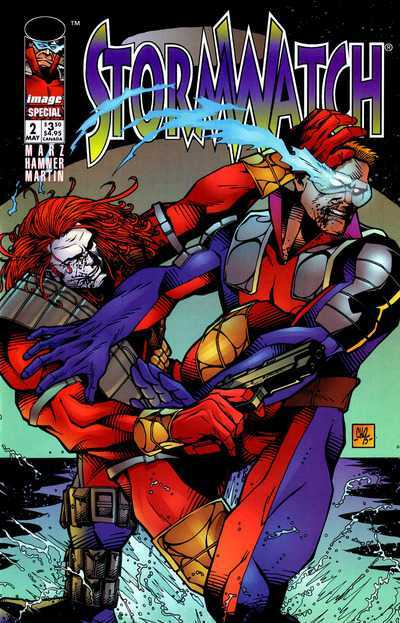 Nothing is easy for the StormWatch crew because as it turns out, Japan doesn’t want StormWatch there, they never requested the U.N.’s support. Like I said, it’s a simply structured story, but it really gets into Jackson’s head. How he thinks about his impending death. How he views his life. What he thinks of his co-workers. Not to mention that this book is frickin’ gorgeous! I know that Mat Broome takes over soon, and he draws really pretty too, but damn does Dwayne Turner’s art look fabulous here! Without being too obvious a lot of this book is setting in motion the events of issue 25 of “StormWatch” Vol. 1. The biggest being getting Talos back aboard Sky-Watch One so that he can escape during the crash. The StormWatch team defies what the local authorities want in regards to help with Talos, and this too will have implications very soon, that also lead to some of the changes we see in issue 25. Jackson is writing his report or journal, or what have you, and it is dated 6/15/1994, which puts it shortly after the events of “Gen13” Vol. 1 which started in May of 1994. I’m pretty confident that that story played itself out over a matter of a few weeks at most.